After the union was officially recognised as the UK’s biggest (have we mentioned that already? 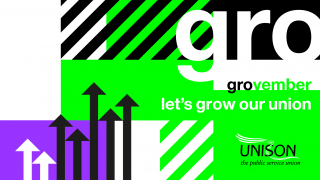 ), November – or Grovember, as we renamed it – saw everyone at UNISON energised around boosting membership to make us “stronger together”. Activists everywhere hit the floor running, signing up new members around the regions. 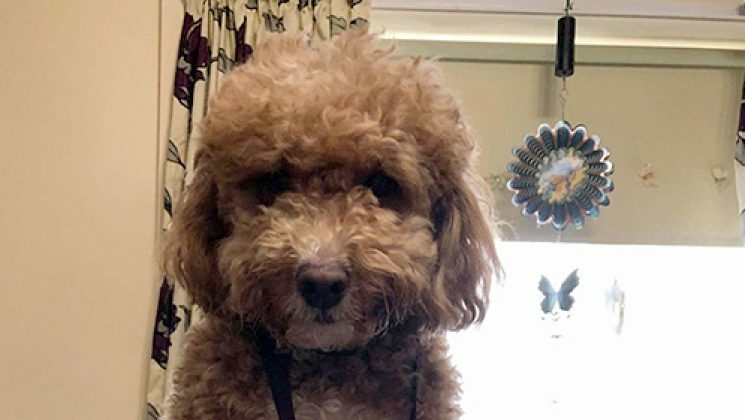 Stalls were staged, floors walked and dogs nominated as Grovember mascots – well, one called Oscar (pictured above) was – and all in all, it was a rip-roaring success. LGBT conference met in Harrogate, where delegates unanimously backed a call to change the group name to be LGBT+ to increase inclusivity. This will now be taken to the union’s national delegate conference in Liverpool next June, where it will need to be passed by a 2/3 majority to allow for a rule change. 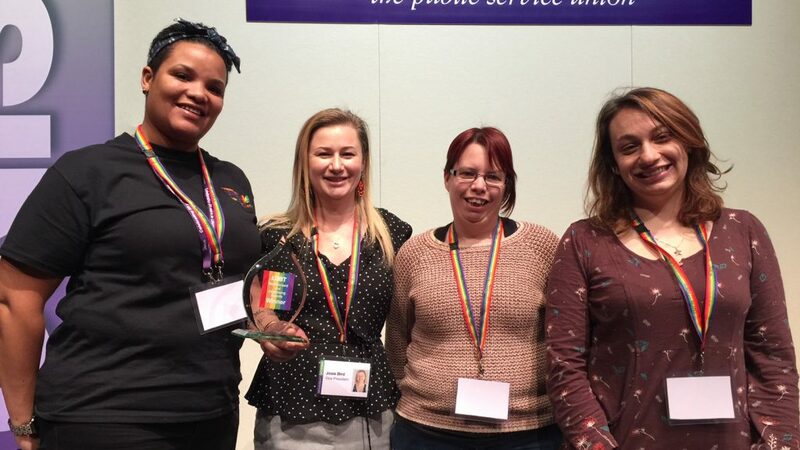 The conference also saw recruitment awards go to Cardiff City Branch’s LGBT group (pictured above) – only founded in January and already having doubled its membership – Scotland and the North West. In Yorkshire, the University of Bradford climbed down on redundancy numbers after a four-day strike. 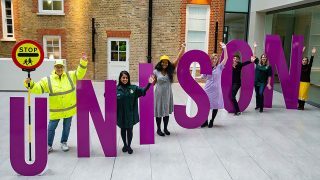 And the security team at Leicester University were also able to celebrate after the employer dropped its plan to reduce hours and cut pay after a magnificent branch campaign, including 100% backing for industrial action. On 23 November, UNISON once again marked the invaluable contribution of school support staff with Stars in Our Schools. From St David’s Pimary, Cwmbran to Princes Risborough School, Buckinghamshire; from Clapton Girls’ Academy in London to South Wellfield First School in Whitley Bay; from Markhland Hill School in Bolton to Monseaton Middle School, Renfrew High School to Penistone Grammar School to All Saints Plymouth to Thorpedene Primary in Southend-on-Sea, there were celebrations, certificates – and, of course, cake. 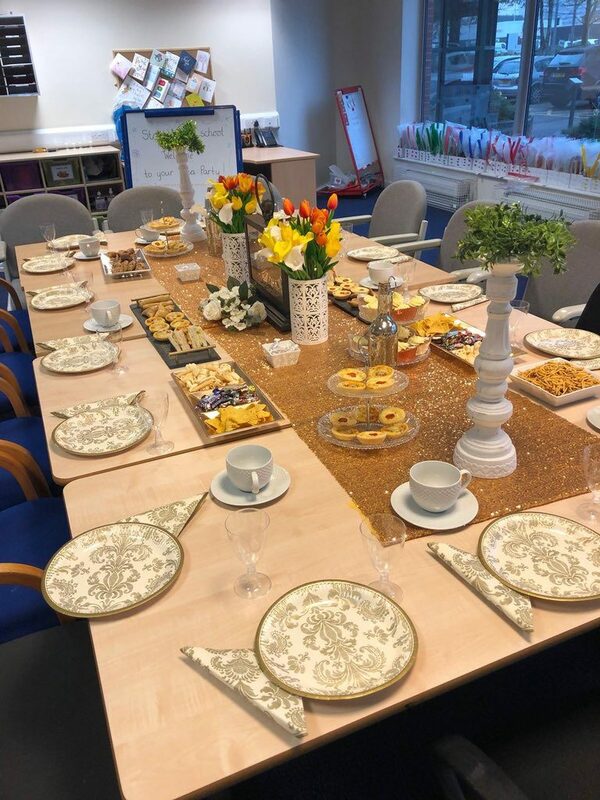 We picked one photo to show you here, taken at the Olive School, Bolton, of a beautiful tea party for support staff, organised by parent Shura. And we heard the inspirational story of UNISON member Karen Brownhill, a school communications practitioner at St Giles Special School in Derby, who has just won a major award for school support staff. As general secretary Dave Prentis said, “our school support staff are incredible”. 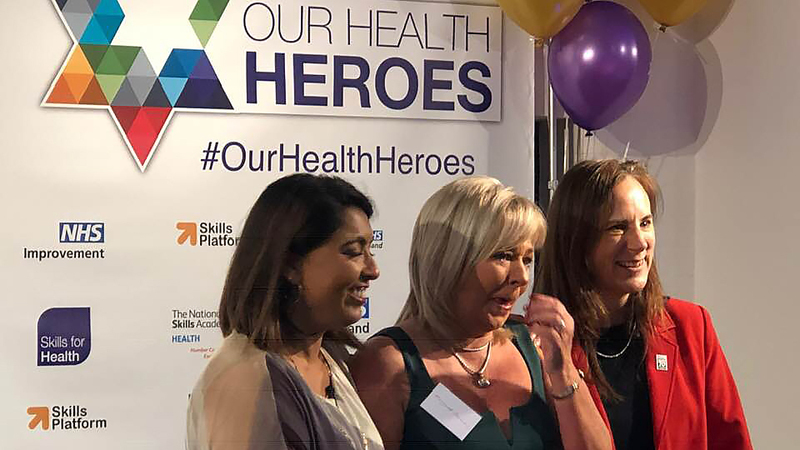 But UNISON has heroes everywhere – and Margaret Canavan (above centre) is officially a health hero after being named ‘operational support worker of the year’ at the Our Health Heroes awards in London. Affectionately known as Mags, Margaret is a ward housekeeper at Belfast City Hospital and has worked in the NHS for over 25 years. And in the final week of the month, the union hosted the launch event for Show Racism the Red Card’s school competition, with guests including Leroy Rosenior, Rachel Yankey, Carlton Cole and Paul Cannoville. Phew! Anyone else ready for Christmas now? November is Grovember! find out how you can get involved in our month-long push to recruit new members and retain our existing ones. Branch noticeboard competition winners announced!